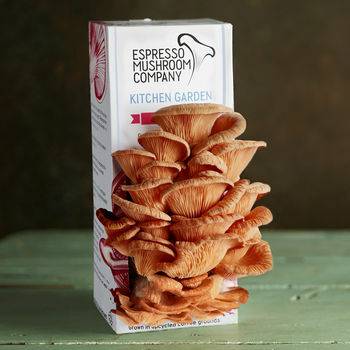 Espresso Mushroom Company was founded by coffee drinking, food loving brothers Alex and Robbie, and friends Jon and Duncan to bring you the ultimate in fresh, home-grown and sustainable produce; fantastic Oyster Mushrooms grown on used coffee grounds. Like us, the mushrooms love coffee and grow beautifully in it. 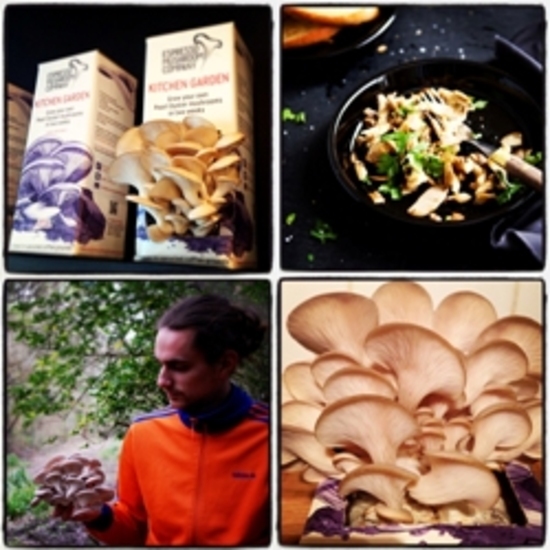 We’ve perfected growing fresh mushrooms ourselves and supply them to top restaurants in Brighton. 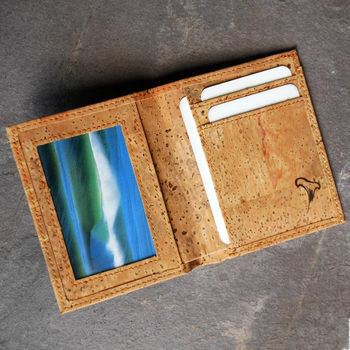 The next step was to develop a simple and exciting kit for you to grow your own too. 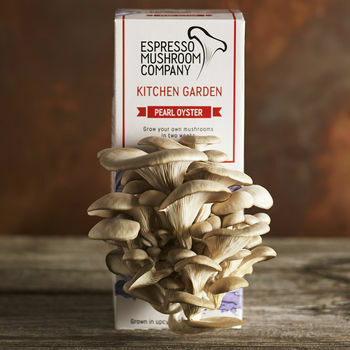 Our Kitchen Garden mushroom grow kits bring to life the excitement of growing your own. During the second week you’ll watch in amazement as the mushrooms literally double in size every day. The home-grown oyster mushrooms taste fantastic and are the perfect ingredient for mushroom risotto, stir fry and stroganoff, to name a few. We were delighted to be recommended by BBC Good Food last Christmas. The environmental side of our business has also been recognised as “one of the five most innovative enterprises using food waste” according to The Grocer magazine. "Fab product! Great gift for people who love mushrooms and growing things :)"
"Made a lovely gift, excellent quality and perfect size!" "Fab present for a foodie!" 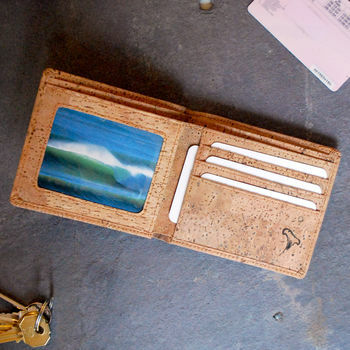 "The wallet arrived quickly and was wonderfully packed. It has a lovely finish, exactly how it looked in the picture, and a lot of space! Great buy!"